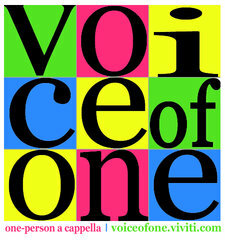 Voice of One was created in January of 2011 in an effort to streamline the best of one person a cappella. The ability to arrange, record, edit, and mix sometimes upwards of 50 tracks is a great feat that takes incredible dedication, talent, and time. Vof1 seeks to recognize the individuals making OPAC for our entertainment through sites like Youtube. While still a baby, Vof1 has great ambitions about being your one stop provider for exceptional, unique, and diverse OPAC. Taylor Chew is an aca-enthusiast, bred on sweet college crooning and fast internet surfing. An Integral member of Cornell University's Touchtones, Taylor arranges, beatboxes, sings and has served as Music Director and Webmaster. Her love of all things a cappella and an unhealthy amount of time spent online inspired a vision of consolidating all of those awesome tracks out there on Youtube into one place. She hopes you'll take her serious enough to enjoy the site, and if not, create some OPAC yourself to make the site better.